I believe that Dr. Dre’s Beats has created this pill-shaped speaker, and it looks like iLuv have come out with their own version. I’m going to look at this as coincidental design. The Rollick, which I will have to say sounds a lot like my last name, has dual speakers for producing awesome sound. 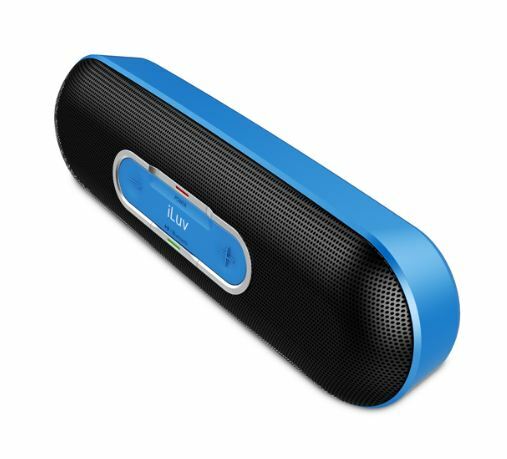 This is a wireless speaker with Bluetooth, or aux-in wired possibility as well. Like I said with my review of the Rox Wireless by Jabra, there is no way that I can talk about how good the sound is. It is very good, and should be able to get it for about $49.99 on the iLuv site.